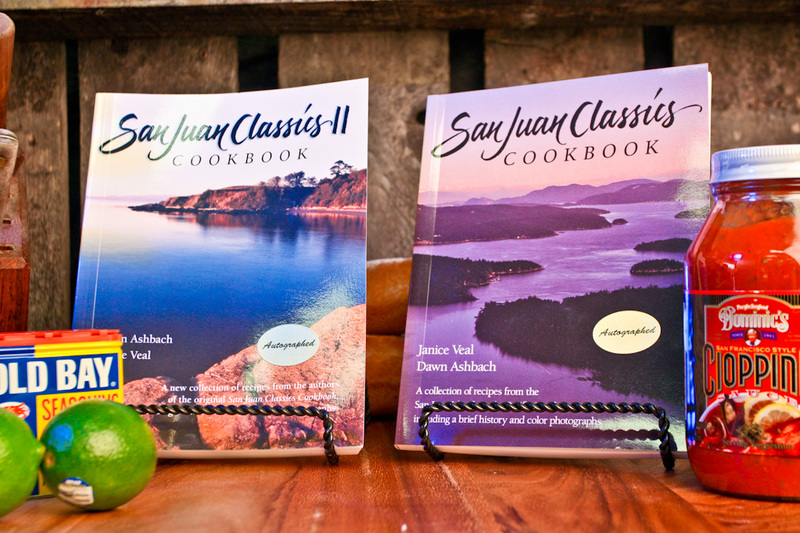 San Juan Classics cookbooks are a great introduction to seafood as well as” traditional” Pacific Northwest cooking. Add these cookbooks to your own collection or give as a gift. Nestled in the sparkling waters of the Pacific Northwest lies one of the worlds richest archipelagos, the San Juan Islands. The natural beauty of this region is well known to visitors and residents alike. The bounty of its gentle land and surrounding seas provide the natural ingredients for fresh, mouthwatering flavors. San Juan Classics cookbook celebrates the abundance of the area offering a unique blend of cuisines created by people who love good food.